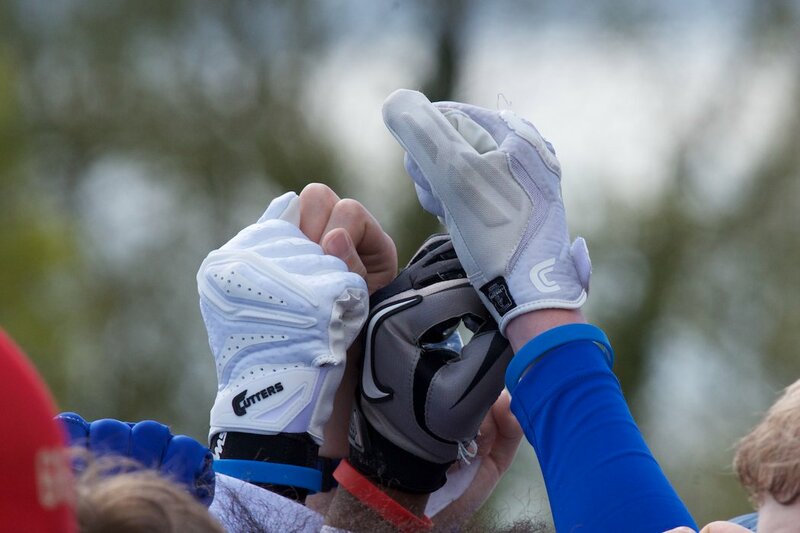 The Titans U19 team opened their season with a hard fought 14-6 victory away at local rivals the Chester Romans. Chester scored on the 2nd play of the game when the Titans linebacker Ben Neill collided with the back judge, opening the lane for Chester to score from 60 yards out. That was to be the only blemish on an otherwise outstanding defensive performance. 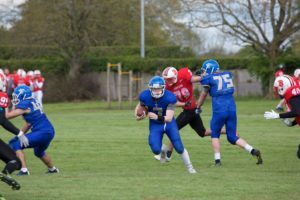 The Titans offense were the masters of their own downfall, fumbling three times in the red zone, however, two 3rd quarter touchdowns from Thomas Jones and Rebs Quinn Jr, both converted by Max Gracie-Ainscough, were enough to get the Titans the win. The Titans kicked off and after a short first down gain, Chester broke free on 2nd down to run 60 yards for an early score, the 2pt attempt was stopped but Chester had an early 6-0 lead. In total Chester ran the ball 32 times for a net 52 yards, following the touchdown the Big Blue Wrecking Crew led by Vonte Glinton who had 11 tackles, 3 for a loss and 3 sacks, held Chester to a net -8 yards from 31 more attempts. 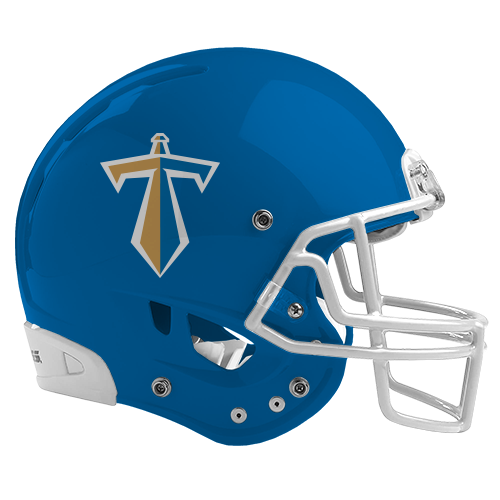 The Titans opening possession looked to be ending early, 2 runs for losses were followed by sack on QB Ben Miles but a flag on the punt brought the Titans to within range of 1st down and Tom Jones scrambled to move the chains. The Titans opening drive lasted 15 plays in total, but in what was to be the story of the day they committed 40 yards worth of penalties but big gains from Jones and then Rueben Quinn Jr brought the Titans to the Chester 8 yard line where a fumbled hand off turned the ball over. Chester initially moved the ball on their next drive, picking up two first downs but successive sacks from Glinton and Freddie Loach, followed by Greg Morgan brought up 4th and 38 and a punt. 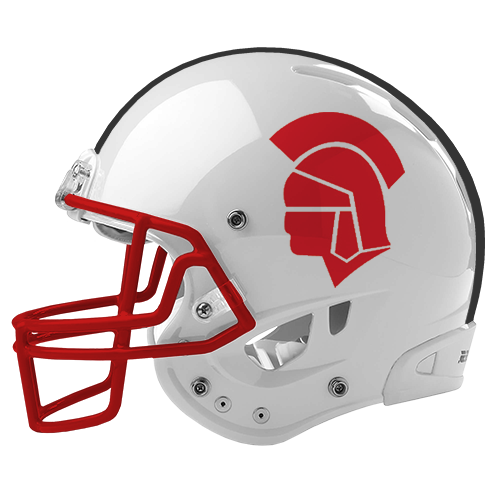 Into the 2nd quarter and the Titans offense went 3 and out but Chester could not mount any offense of their own, Ryan Weaver with a tackle in the backfield before Loach forced the ball loose and Morgan recovered. The Titans nearly scored immediately with QB BEn Miles just missing Max Gracie-Aincsough in the endzone. They moved the ball again before another dropped hand off turned the ball back over to Chester. 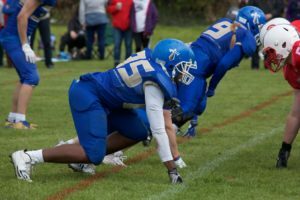 Now well on top, the Titans defence came up with another stop, Glinton with his second sack for -10 yards before Sean Howe produced another TFL and Ben Neill finished the job on 3rd down. With limited time the Titans aired the ball deep with no success, a draw to Quinn took them to the Romans 40 but time expired. 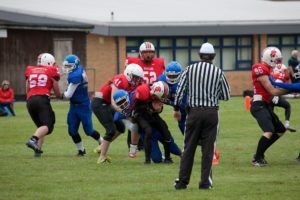 The Titans received the ball in the 2nd half and immediately hit back, the first play from scrimmage Jones showed his playmaking abilities to slip tackles and break for an 82 yard touchdown that Gracie-Ainscough converted to give the Titans the lead. Chester tried to hit back, a sack from Loach was nullified by a big gain through the air that needed a touchdown saving tackle from Danylo Szlachetko-Blackburn covering across the field. Inside the Titans 20, Chester sniffed a touchdown but tackles for losses from Howe and Glinton before Morgan and Loach combined for a -12 yard sack prevented the score before a 4th down pass was broken up by Lewis. Miles then led his team downfield 77 yards in 13 plays for the Titans next score. Hindering their own progress with a further 35 yards in penalties, bringing back big runs from Jones and Quinn, the Titans were able to move the ball in the air on crucial 3rd downs, Miles finding Quinn for 10 yards, Tom Morgan for 31 yards and then Gracie-Ainscough for 29 yards to move down to the Chester 6 yards line where Quinn showed why he is an irresistible force powering up the middle into paydirt. Gracie-Ainscough made it 2/2 on extra points and the Titans led 14-6. Chester went 3 and out before the Titans strung together 10 plays but penalties again forced a punt. Chester driving to save the game started on their own 18 yard line but made no progress, after completing a pass they were driven back again and forced to go for it on 4th down where Glinton batted the ball down on the line. With great field position the Titans again fumbled the ball in the red zone. This wasn’t to matter, with time for 4 more plays Chester again ran into brick wall Glinton who finished the game with another sack.